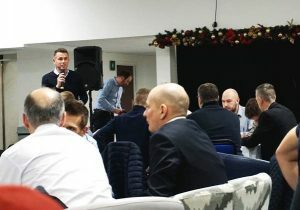 LexisNexis® Risk Solutions, a global provider of information solutions with offices based in Cardiff, this Tuesday hosted a charity quiz night in aid of Headway Cardiff & South East, a local charity which helps people affected by acquired brain injury (ABI) to rebuild their lives. The quiz night raised £3,000 and all proceeds will go towards supporting the wide range of charitable services that Headway Cardiff & South East provides, including: social groups, life skills sessions, counselling, an Information & Outreach service and Independence & Wellbeing Centre based at Rookwood Hospital. Headway Cardiff & South East is reliant on public donations in order to operate. It currently has seven full-time and five part-time members of staff and a team of around 40 highly skilled and committed volunteers to help deliver its services. 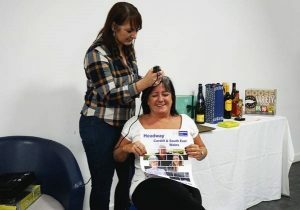 In addition to the quiz, various other activities took place on the night including an auction, a raffle and one brave member of the LexisNexis® Risk Solutions team having her head shaved, all of which contributed towards the grand total raised.